Lincoln Property Company has been universally recognized as a trailblazer from its inception in 1965. It is now the fifth largest property management company in the United States. In keeping with its innovative spirit, LPC is implementing a sophisticated online market survey application developed by Spherexx.com. Spherexx.com's market survey application, now in its third edition, provides custom market surveys for property management firms that are accessible anytime and anywhere. The program can be configured to allow owners, partners, leaders, and clients to retrieve current market updates directly from the survey, thereby eliminating the need to email, fax, copy, or print survey data in order to share information. The advanced market profiling includes advertisement cross referencing and recaps popular resident-driven online media. It compresses huge volumes of information into an easily navigated and updated, failsafe reporting system. Rather than just reporting a series of numbers, it paints a colorful landscape that reflects the pricing lay of the land. Replacing clumsy, desktop applications, http://www.MarketSurveyTools.com reports leasing rates, occupancy, design details, neighborhood impact, discounts and product features. It automatically calculates rents by square footage, and will calculate net effective rates intuitively (rates adjusted by pricing concessions). The market survey application incorporates integral quality control features that saves time in the updating process. No special training or installation is required. Sophisticated, presentation-ready reports and graphs are instantly available with many sorting options from summary comparisons to precise review. Most importantly, MarketSurveyTools.com automatically collects and stores historical data. Owners, investors and operators rely on accurate historical data to make vital investment and pricing decisions. Lincoln Property Company also uses MarketSurveyTools.com's due diligence master account: an account that Spherexx.com especially designed to analyze markets for acquisition studies. Property management companies can customize the kinds of marketing information they want to track. Competitors are not limited. Specific market trends are thus easily established and more easily projected by management professionals. "Reliable market data is more important than ever in light of our current economy. Lincoln Property Company recognizes how vital it is to keep their investors, clients and partners informed using the most advanced marketing tools available, and to keep the competitive edge they have maintained for so long. I am very pleased that we are able to accommodate that demand. LPC is wonderful to work with and they are committed to quality reporting and analysis," says Becca Wilson, President and CEO of Spherexx.com. LPC should have MarketSurveyTools.com rolled out to all their locations by the end of July, 2010. Jaymore Management launched MarketSurveyTools.com across their portfolio in late November 2009. Shelby Langley-Cleary, Director of Training and Marketing for Jaymor says of their new market survey program: "This program has saved us so much time and increased our ability to respond more quickly to shifts in the marketplace. I can review all the company reports from my own workstation….I have more time to spend on training and developing leasing initiatives and less time shuffling papers--and that means higher occupancy." An online demo of MarketSurveyTools.com is located at http://www.marketsurveytools.com/pages/request-free-trial.asp. Established in 2000, Spherexx.com has offices located in Tulsa, Dallas and Houston. 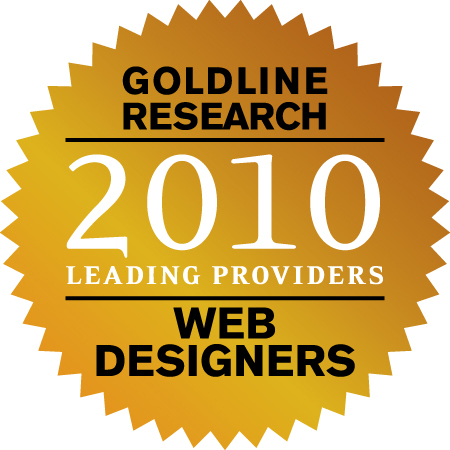 The company has been distinguished as one of the Leading Web Designers of the south and central regions for four consecutive years by Goldline Research. It has been recognized in Forbes and Entrepreneur magazines. Spherexx.com offers a wide selection of professional services including web design and development, touch-screen kiosks, Internet lead generation tools, online advertising, apartment leasing consulting, advanced mobile technology, apartment lease-up marketing consulting, and search engine performance. They provide branding services, video/multimedia production, print media, and copywriting as well as website and email hosting, database solutions, pay per click, e-commerce solutions and custom programming. The company has developed CRM (customer relationship management) products and lead generation tools that allow clients to better manage and convert leads to leases and sales. These applications are branded under http://www.GotNoVacancy.com ™, http://www.MarketSurveyTools.com ™, and http://www.MessageKast.com ™. Spherexx.com provides web-based prospecting, marketing, advertising management, and support services. Request additional information at: http://spherexx.com/pages/request-a-quote.asp. Spherexx.com has provided services to innovative real estate companies like Trammell Crow, Lincoln Property Company, Riverstone Residential, Essex Property Trust, Greystar, ZOM Residential Services and Tarragon LLC. The company represents a collective seventy years of direct, executive level property management experience that readily identifies with the challenges and solutions of multi-family property management professionals. Lincoln Property Company was founded in 1965 for the purpose of building and operating quality residential communities. Development activity consisted of garden apartments, primarily in Texas and the southwestern United States. Lincoln partners were the sole financial investors in these original residential developments. The need for experienced, professional property management was recognized during these early years. In the process of managing our own development properties, Lincoln began attracting, training and organizing the nucleus of its present property management group. As Lincoln began to grow and prosper, it expanded into other major areas of the United States. As a leader in the residential property management field, Lincoln has committed a substantial amount of resources in developing its infrastructure, including the creation of its own training curriculum and management manuals for the continued development of personnel. This commitment has enabled Lincoln to manage properties successfully for clients, large and small, for over four decades. Nonetheless, Lincoln continues to strive for better results, better systems and better ways to serve our residents and investors.